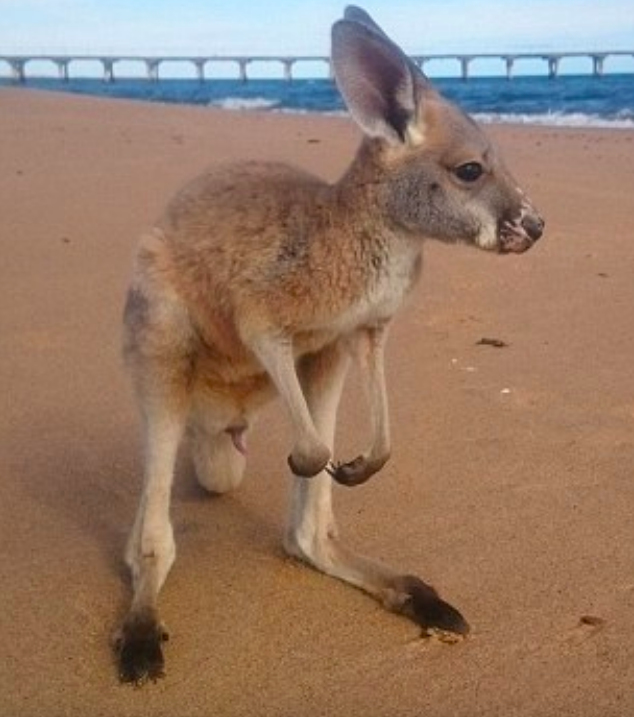 Australia has a ton of interesting animals all around, however, none are as common as the kangaroo. 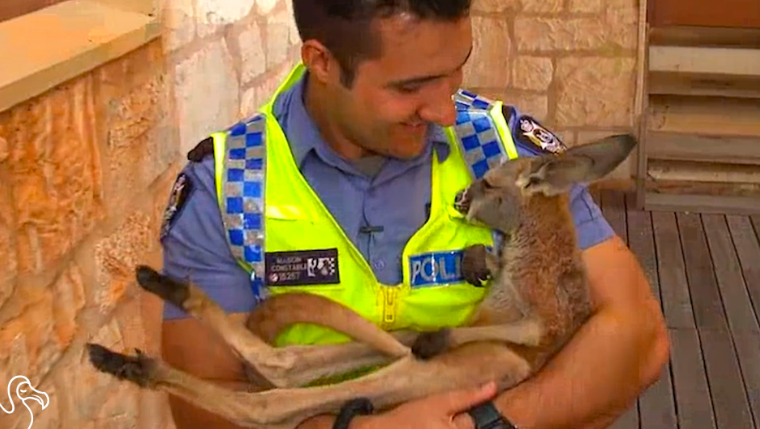 Even though kangaroos are pretty common, it doesn’t make them any less special to Australians. 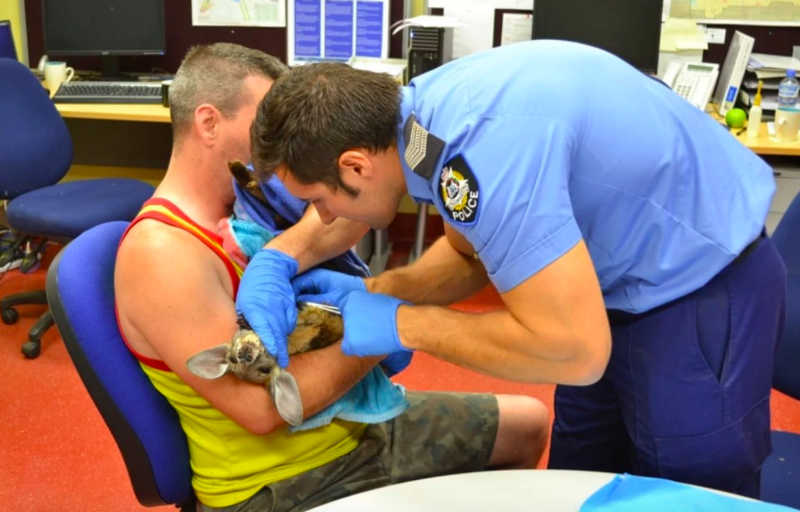 That’s why when this one baby kangaroo got into a life-threatening situation, one man was there to help the baby out. 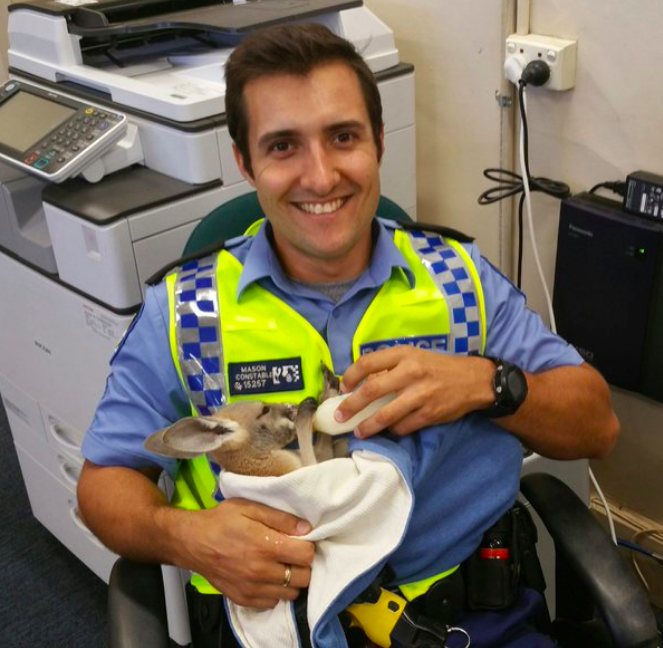 When worried people arrived on the scene, they noticed that there was something inside of the mother’s pouch. 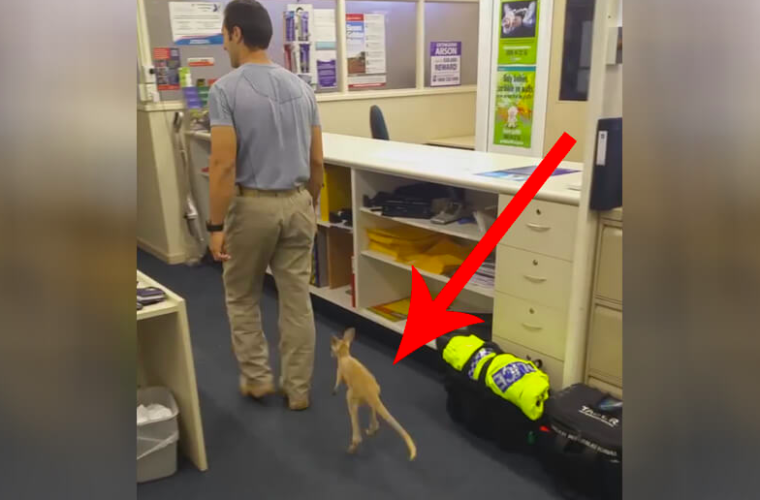 Inside was the tiny roo. 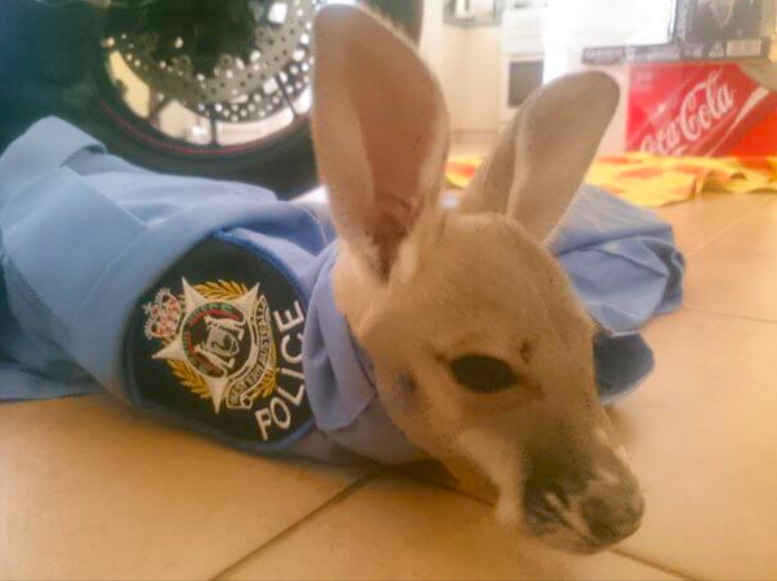 Miraculously, the young joey was still alive. 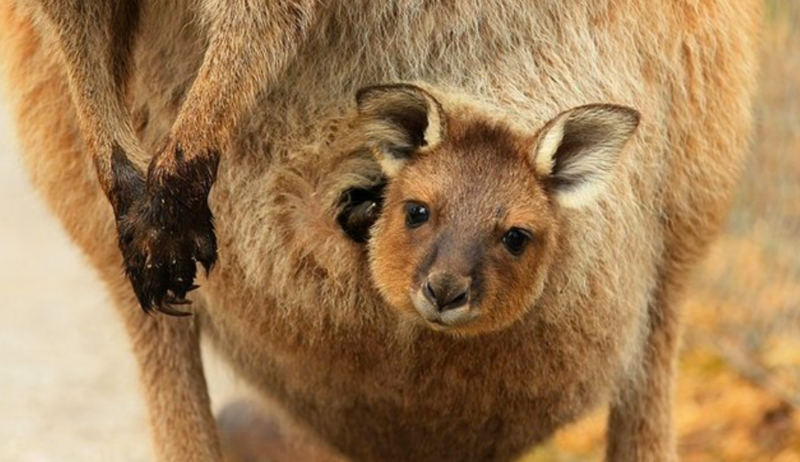 The people who discovered the tiny kangaroo inside of its mother’s pouch quickly decided to act fast. 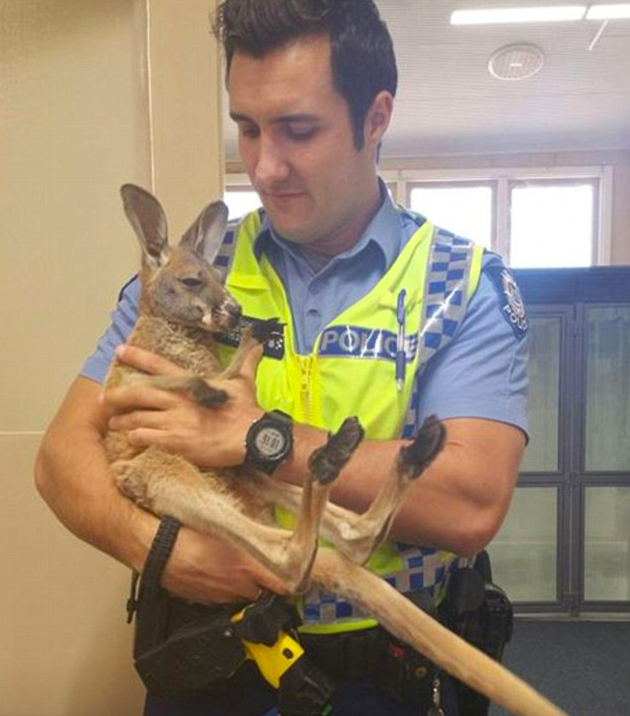 So they brought the kangaroo over to the police station. 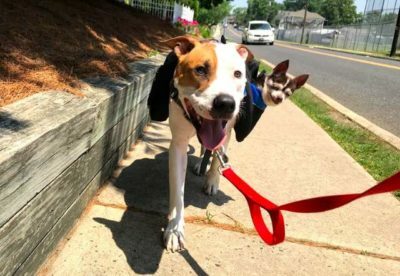 No one expected that he would meet his new best friend there. At the station was Constable Scott Mason. 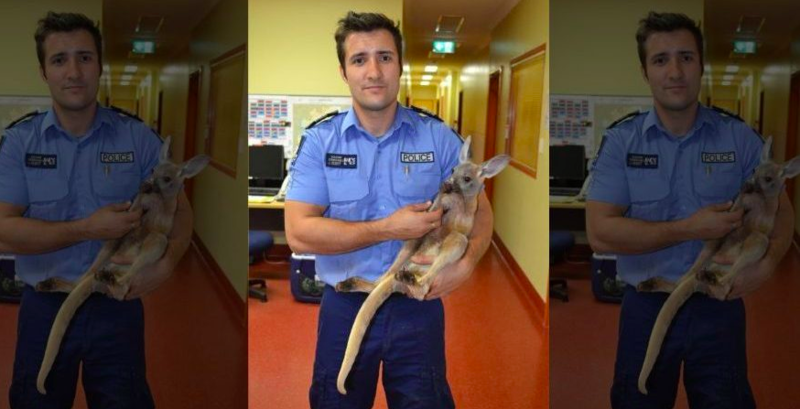 He had only been working as an officer for a few weeks and was suddenly handed a baby kangaroo! So what did he do? 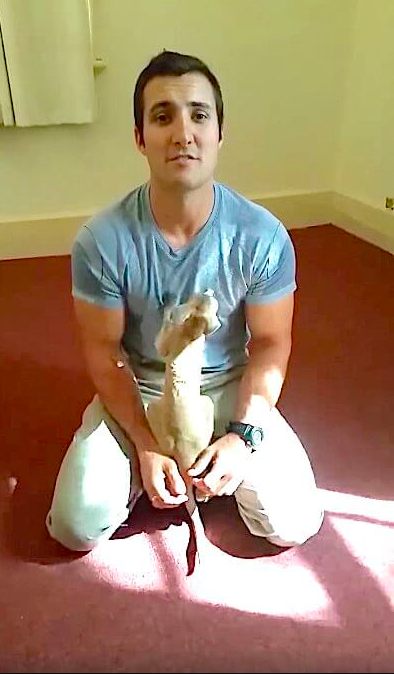 Mason decided that he would take on the role of father to the young kangaroo and decided to adopt the four-month-old joey. 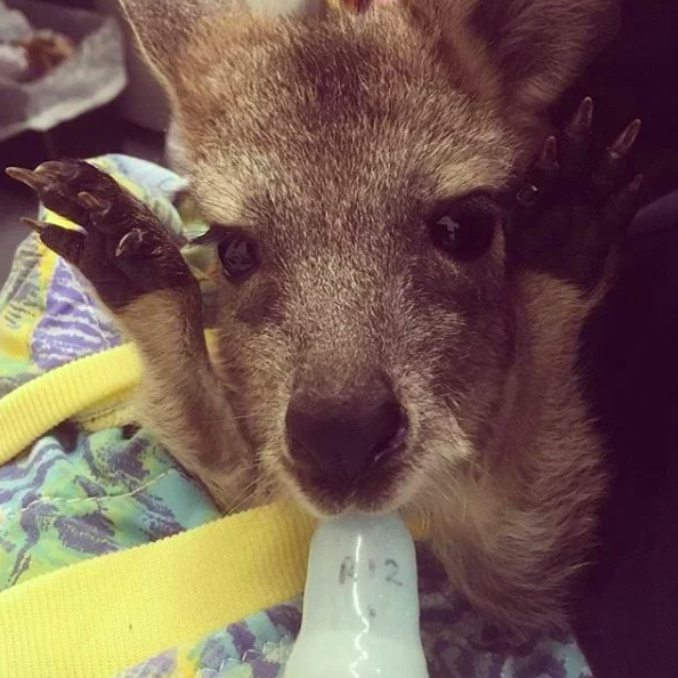 The poor kangaroo was dehydrated, upset, and just in need of love so Mason had a lot of work before him. 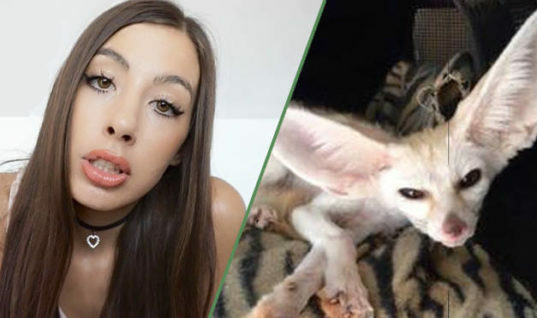 The poor kangaroo was practically fighting for its life after such a traumatic experience. 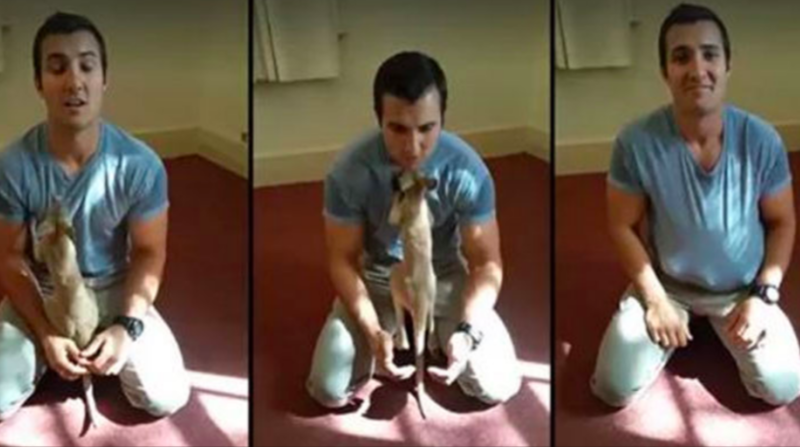 However, Mason refused to give up on the tiny kangaroo. So he continued to feed it every three hours and make sure that it was comfortable. 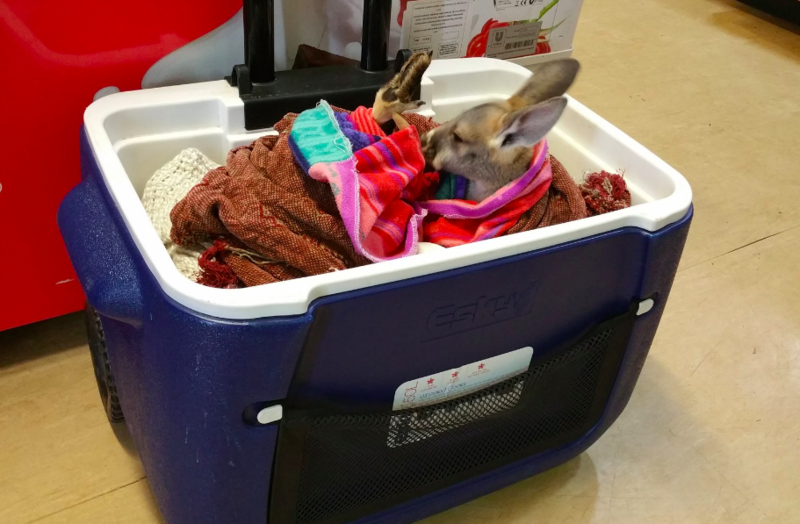 After a few weeks, the young kangaroo started to get much better. 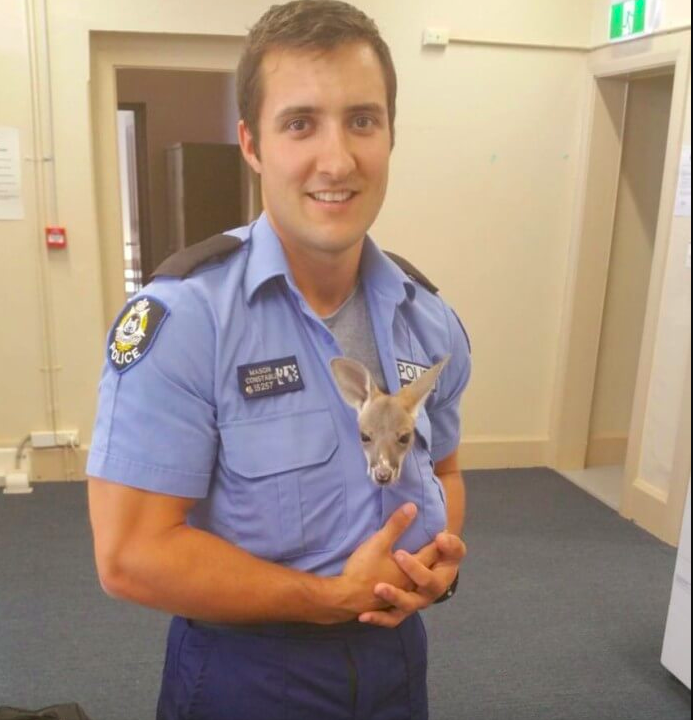 He would even snuggle himself up in Mason’s police uniform, almost as if the uniform were a pouch. He would even crawl into the neck of his uniform and snuggle up with Mason like he would with his mother. The kangaroo and Mason have now developed an extremely close bond. 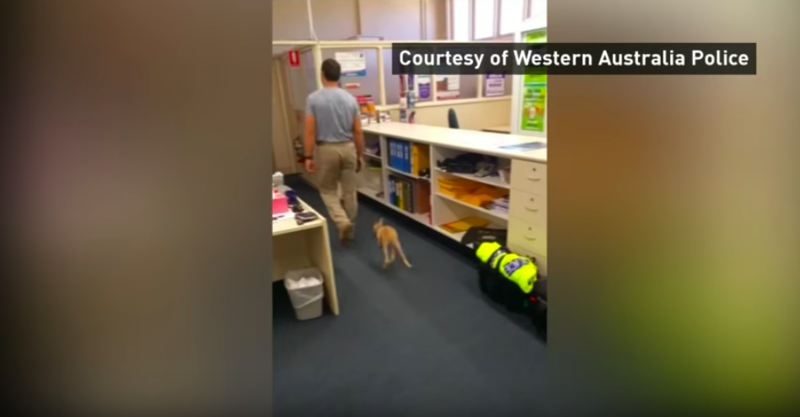 The little kangaroo hops around and follows Mason everywhere he goes. The two are pretty much inseparable. 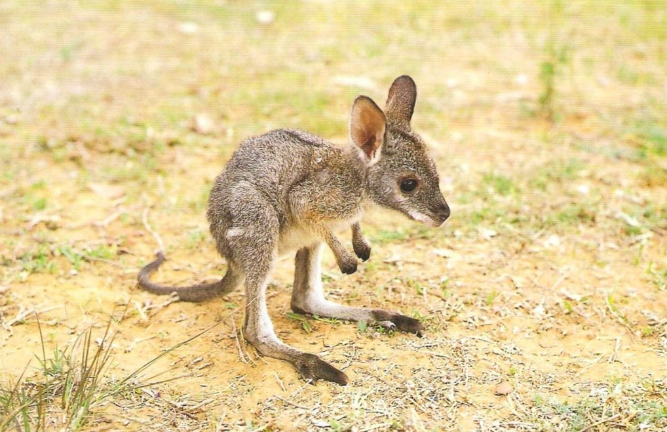 Eventually, Mason decided that the little joey needed a name that would fit him. 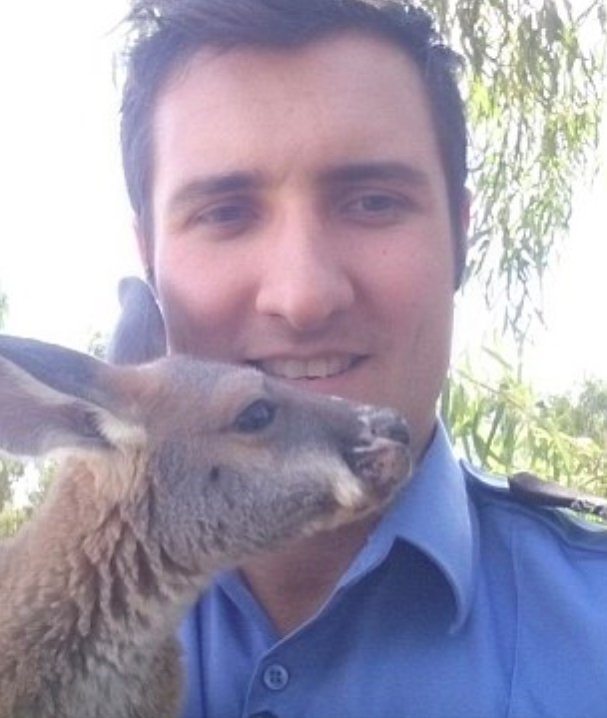 So he decided to post a photo of the kangaroo on social media and ask the people what the kangaroo’s name should be. You won’t believe what everyone chose! 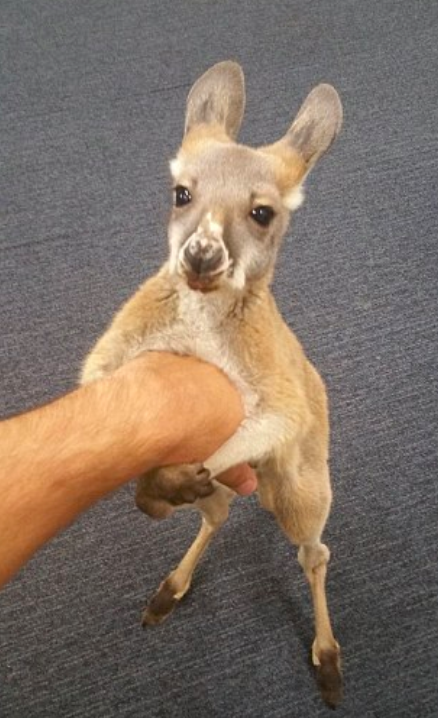 Everyone on social media agreed that the kangaroo’s name should be Cuejo. So that is exactly what Mason named him. For now, Mason has been babying Cuejo while his wife has been taking care of their own newborn! Mason recently told AAP that his wife had given birth. So he decided that Cujeo would be his baby while his wife has been bonding with their newborn. Recently, Mason was put in another daring situation that involved saving Cuejo’s life. This time, Cuejo’s life was at stake due to a massive eagle. So what happened and did Cuejo survive? “I took a second to react,” Mason told The Washington Post. 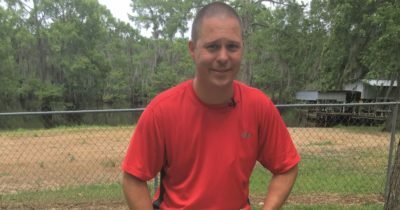 “I was pretty shocked.” Once the shock wore off, however, Mason knew that he needed to save Cuejo from the eagle that was currently lifting him up over a 6½-foot fence. Eventually the eagle landed down and began to peck away at Cuejo. 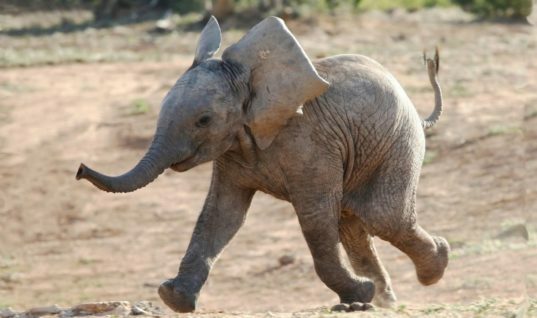 Mason was running after them and hoping to reach over in time. It was a race against time until Cuejo made a run for it and made it away from the eagle. 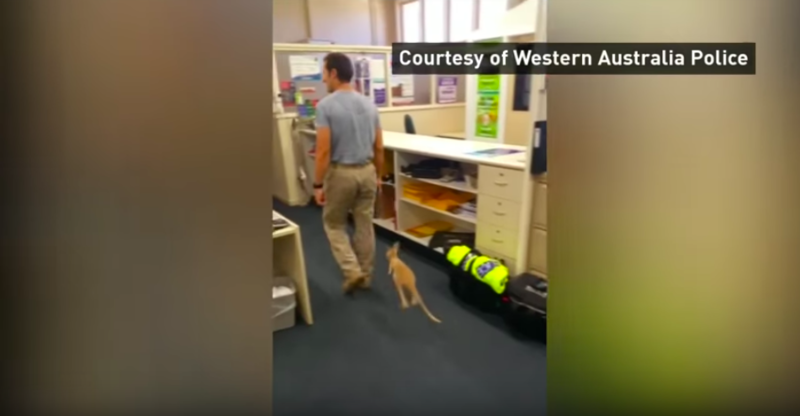 “He had a puncture wound to his chest and his face,” Mason said, “and several patches of hair missing.” Eventually, Mason made it over to Cuejo before the eagle got another chance to lift up the 10-pound kangaroo. Mason was incredibly relieved. 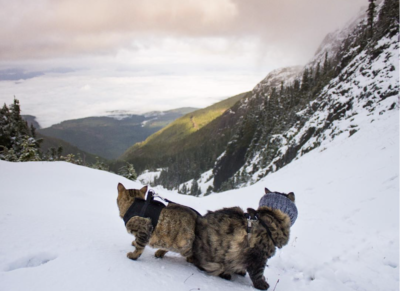 “It was a race to see to who could get to Cuejoe first,” Mason said. 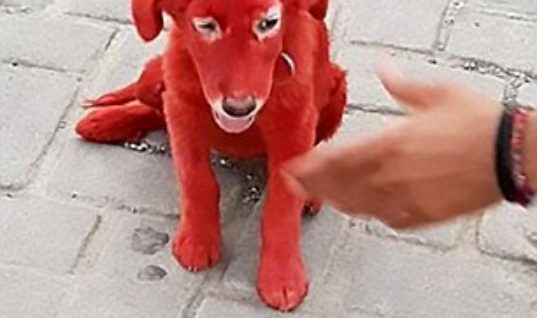 Once he got a hold of Cuejo, he immediately took him back to the police station where he used his training to stitch him back up, as the nearest vet was a five hour drive away. Cuejo is now recovering under the watchful eye of Mason. 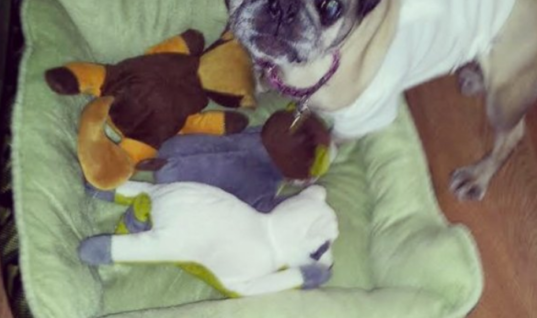 Mason is happy that his little baby is still around and doing much better! “He just started eating again,” Mason said, happily. Mason has continued to prove how much he loves Cuejo. 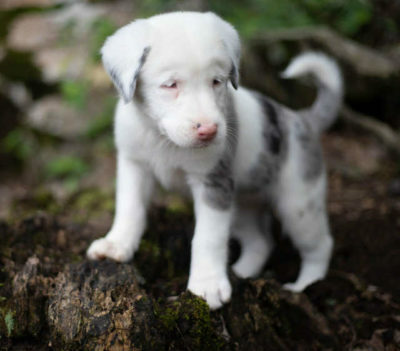 Thanks to his caring nature, Cuejo has been rescued from a death not once but twice!